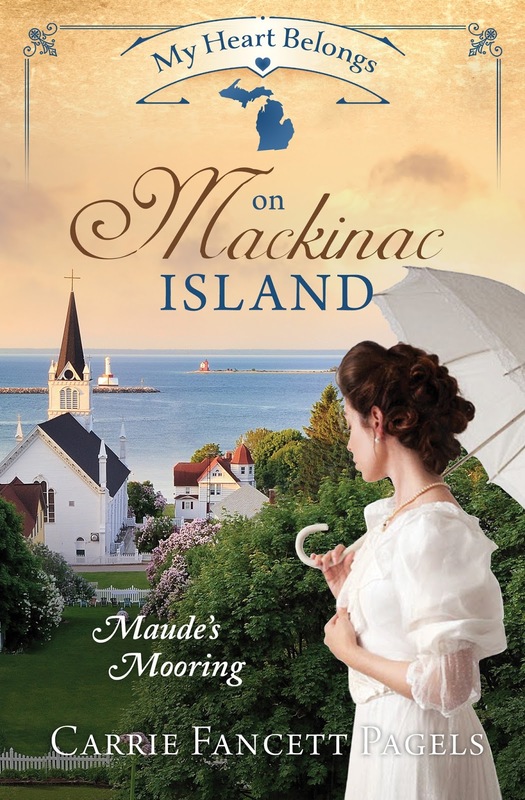 1894/1895 – Mackinac Island, Michigan: Robert Swaine, a ship captain, returns to Mackinac Island where his first love, Sadie Duvall struggles to support her siblings. Will she anchor him to the island he has vowed to leave behind? This story is a companion to my Romantic Times Top Pick in Inspirational -- My Heart Belongs on Mackinac Island: Maude's Mooring. Sadie Duvall is Maude's best friend and Robert is Maude's young uncle. Maude has a French colonial era ancestor from Mackinac Island who'll one day get her own story, too! My giveaway is an autographed copy of First Love Forever (personalized if the winner so wishes!) & a pair of Anchor earrings! 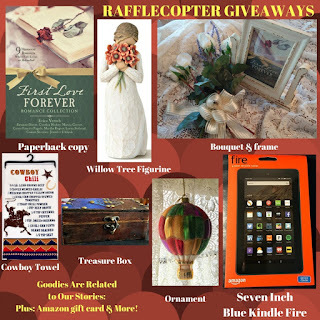 We authors in the First Love Forever collection have a big Rafflecopter giveaway going on all through April so be sure to enter! Collection available at: Christian Bookstores, Christian Book Distributors, Barnes & Noble, Amazon, and more. Instagram and on her website! Samuel Wheeler is an ordinary apprentice wagonmaster by day, a masked vigilante by night, but what started as a lark has gotten out of hand. He hardly sleeps, his secret identity has taken over his life, and the girl he loves barely notices him while his alter ego sets her aflutter. Sally Brewster works hard at her parents’ inn, nestled in the lower Shenandoah Valley, along the Great Wagon Road that runs from Philadelphia down through the Carolinas. She pays little mind to the gossip about the mysterious highwayman who makes life difficult for the redcoats—until the night when the heroic figure saves her from brigands. I am so excited about this re-release! Originally part of Barbour's The Most Eligible Bachelor Collection three years ago, this story serves as the prequel to The Counterfeit Tory in the upcoming Backcountry Brides, and the fresh treatment is just in time for those who might want more backstory on Jed Wheeler. Plus, we get a peek at Sam and Sally and their family, five years later, in the epilogue of The Counterfeit Tory. 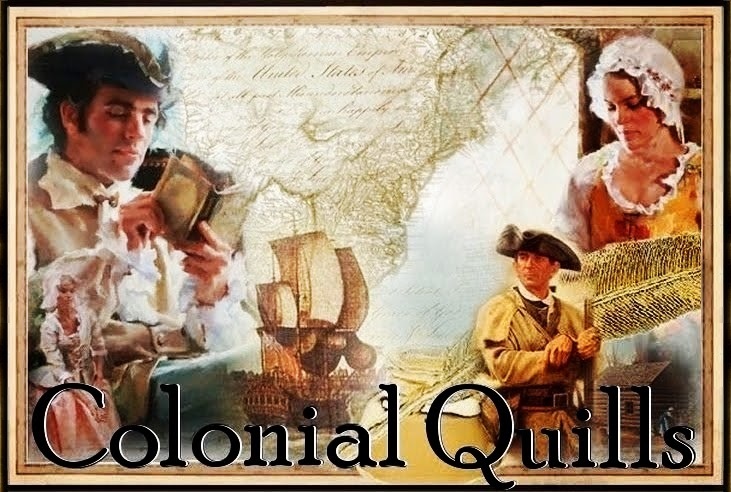 For a peek at the world of The Highwayman, check out some of my posts from 2015, especially those about handling oxen, the importance of colonial inns, and the Great Wagon Road. Available only as ebook at this time. For our giveaway, I'm offering one copy, which is listed on Amazon. Available on Amazon and other online stores. You can visit me online at my website or sign up for my newsletter. You can also follow me on Goodreads or Facebook. 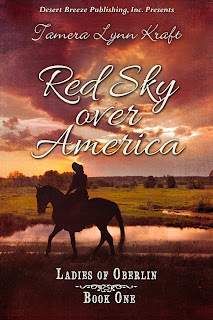 I'm giving away an autographed copy of Red Sky Over America. To enter, comment on this blog you'd like to win a copy. Good morning from the Historic Triangle of Virginia!!! I've got a pot of tea on and will be adding a second one. Scones are hot all morning and we have wonderful butter and jams! And for those who enjoy oatmeal, ours has maple syrup in it and yummy walnuts! Sit down at one of our pretty tables and enjoy! Good morning! I’m having my oatmeal with bananas this AM and chocolate raspberry coffee. I would love a scone but I’m on limited carbs. I pray you are blessed this day. I’m off to do my housework so I can join y’all later. Carrie, I am sooo excited about the First Love Forever Romance Collection! !.....and equally thrilled to hear your story, “Love’s Anchor”, is a companion story to your book 'My Heart Belongs on Mackinac Island'! Squeal!!! I just got this book and I am eager to read more of Sadie and Robert's story! Woo Hoo! I LOVE your Pinterest page!! Please enter me in your giveaway, Carrie, for an autographed copy of First Love Forever & a pair of Anchor earrings!!! I'll have a cup of English Breakfast tea please. Wowee Alison! Enjoy that weather!!! And I am so glad you will enjoy Sadie’s story! Blessings! wow! Where in Michigan are you if you got 70's today?? We had rain and 40 and lower all day (With ice/snow forecast for this weekend) near Grand Rapids! I can’t wait to read all of these fantastic stories while drinking some earl grey tea! Thanks so much Alyssa! Scones? Thanks, Alyssa. I hope you enjoy the tea. I love earl grey as well, Alyssa! Story sounds great ! I would love to win! Three releases! We are so blessed! Good morning! It's so pretty and bright outside in the Historical Triangle! Congratulations on your releases, ladies! Carrie's books I have read. But the other two authors I'll need to check out. Thanks! It’s so pretty today isn’t it Regina? Thank you so much for coming by, Regina! I hope you enjoy our stories! Hoping to make it for another Wonderful time with Fantastic Authors and Rock Stars! Time change for me is an issue now but will be mixing my tea green tea with Irish breakfast. Can't wait. Love to all. Hi Tina! That mix sounds awesome! Have a seat! Pardon my puffed sleeves as I sit for tea and scones this morning. I love all the stories we are celebrating today. Beautiful outfit Andrea! Come have a chat with me! The puffed sleeves are lovely, Andrea! The tea & scones are delightful! Can't wait to see what everyone is wearing! Congratulations on these new releases! Thanks Becky! You can post your outfit over on the FB page. I have to pick mine out soon! Congratulations ladies on your new releases. Congratulations on the new releases, ladies. I have had the privilege to read Carrie's lovely story, and look forward to the opportunity to read the others. Thanks so much for the possibility to win them. I have enjoyed the tea, scones and the company! Hopefully I will be able to return for more after awhile :). We have lots of tea and scones. I'm sure we won't run out by the time you return. Hi Betti! I have a three tier chocolate cake coming around and rice pudding and Some fruit tarts! Thank you for stopping by, Betti! I hope you enjoy them!! I'm drinking hot tea as I read this post. I'm looking forward to reading each story! Congrats on the new releases! Hey Joy! Looking forward to our lunch! Congratulations on the new releases. They all look amazing. Thanks, agboss. See you at the party. Thank you!! Hope you enjoy them!!! Good morning ladies, what a lovely day for a tea party! I was so happy to see the sun shining and the warmer temperatures…which made a most pleasant carriage ride from Maryland. Maybe spring has finally sprung! ;-) Those scones and jams look delicious; I think I will have one of those with a cup of tea while I mingle. CONGRATULATIONS Carrie Pagels, Shannon McNear & Tamera Kraft on your new releases!!! I enjoy your stories/books so much! I have read Carrie and Shannon’s stories but have not read Tamera’s yet…it is sitting on the table by my reading chair waiting for me to get to, sigh, hopefully soon. Good afternoon from MI’s Upper Peninsula where it’s only 37. Under a winter storm watch with over a foot of snow predicted. UGH! I’m so over winter. As I’m arriving to late for breakfast I’ll just take a cup of tea to drink while reading. I love your books and if I win First Love Forever I’ll be keeping the earrings for myself but donating the book (only because I already have it) to my church library. I help keep it organized and we don’t have any of your books. I think it would be a great way to introduce you to more readers. We have a section for “new” books which is really new to the library, not necessarily new releases. Everyone checks out those books first. B rrrr Sherry! We'll make sure your cup of tea is HOT!!! You'll have to send me a message about your church! Maybe I can visit there sometime when I am up north! See you tonight! I enjoy these parties, too, Amada, and wish they were in person! Congratulations, ladies! I hope to stop in during the FB party and say hi. I'm thrilled with your new releases! Best wishes to all of our reader friends for a lovely weekend! And a big hug for Cheryl B! Thanks so much, Deb! Looking forward to our Backcountry Brides release coming up soon!!! Blessings! 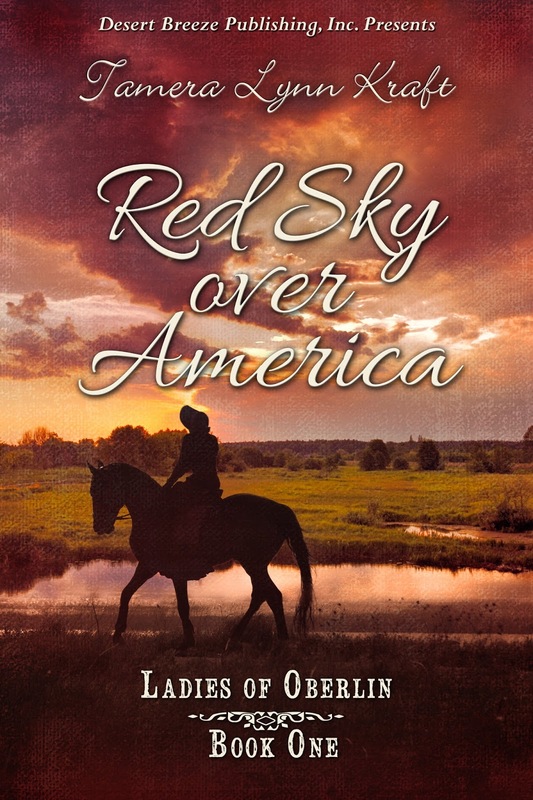 I’d love to win a copy of Red Sky Over America. I would also like to offer congrats to the ladies that took part in the Novella collection. Those are some beautiful covers! I’m looking forward to the Tea Party this afternoon. Thank you for stopping by, Perrianne! So nice to meet you today!! These new releases are outstanding! I cannot wait to read all of these! The imaginations that you wonderful Authors have is truly amazing! All the plots and storylines have definitely piqued my interest! Congrats Ladies! Thank you so much, Gracie!! Glad you took the time to stop by! Good afternoon from Montana! Congrats on the lovely releases! I would enjoy winning any of them. I just brewed a fresh pot of English tea, Jasmine. Can I pour you a cup? We have chicken roasting, a real treat, plus biscuits, greens, stewed apples and more! Ah, a neighbor to the west! <3 Thank you so much, Jasmine! Thank you for coming by, Debra, and happy birthday! I absolutely can not wait to read! Love tea parties! It would be wonderful to win a copy. Best wishes Yooper lovely lady and thanks for coming by! Thank you for coming by, Crissy, and it was so nice to meet you!! I forgot to add I am a Pagels Pal! Shannon!! I just finished reading The Highwayman last night (in the Collection). So intriguing!! Very well written and suspenseful. Kathleen, Shannon's story was a Rita finalist, a very prestigious honor, for this story! We need to get you in some of the Promo groups through Pals team for upcoming release Half-Irish Kathleen! 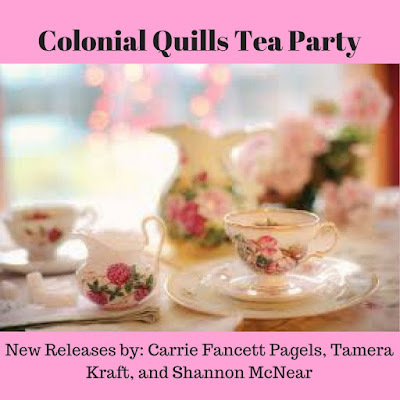 Carrie, Shannon and Tamera Congratulations on your releases! Thank you for a fabulous tea party! Thanks, Caryl! Praying you'll be back home soon! I actually have some loose leaf Earl Grey tea here, Half-Irish Kathleen. Let me set the pot to boiling! Oh, how blessed I'd be if won! Wishing you the best, Beverly! thanks for coming by! Thank you, Beverly! <3 it's a blessing to have you here! Thanks, Janet! Am looking forward to the release of your next novel! Wonderful Tea Party, celebrating wonderful books! I hope everyone gets a chance to read the stories created by our hostesses. 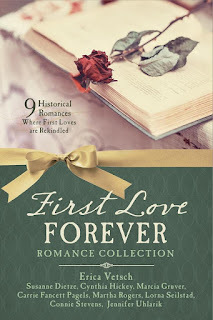 I am still planning on reading through all the other stories in First Love Forever collection, by excellent authors, and I've read Shannon's amazing novella, and hope to read Tamera's book soon! Thank you for the lovely tea party! I always enjoy visiting. Carrie, it was so fun seeing your live stream! For some reason my computer wouldn't cooperate so that I could actually leave a comment, but loved seeing you live! Hi Kay, great to see you here! I'm glad I actually sort of figured out how to do that. Were you surprised by anything? I loved your scarf and that you said you were wearing capris--LOL! Hey Ashley! I pray the birthday party for your little one goes well! I am having a blast like always!! What flavor birthday cake did you get? We have a blast having you here! Congrats! Would love to read them all. Congrats Carrie and Tamera..would love to read both of these books they look so good. Also the Highwaymen looks good also by a new author that us new to me..always fun to win won of course. Congratulations to you all! I will be glad to get to read these stories! Hi Brenda, we'd love for you to read our stories! Congratulations on the new releases, Ladies!!! All the stories sound fabulous. This is one of my FAVORITE covers in these collections! Have a blessed weekend, y'all! Thanks sweet Anne! Great chatting with you earlier! Shirley Plantation here we come (again!) soon! I think this is a pretty cover, too, with the roses. Blessings! Hello Ladies!! Congratulations on your new releases!! I especially would like to say hello to Shannon McNear whom I met at an ACFW conference in 2013. I’m sure she does not remember me. I wanted to say thank you for being so kind to a newbie!! Blessings to all! Hi Tammy! I am betting our sweet Shannon McNear DOES remember you! Blessings back! Ah, Tammy!! Thank you so very much, and I do remember!!! Good to hear from you again! Hope you're doing well, and thank you so much for stopping by! 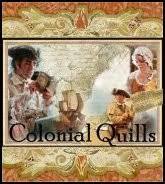 Congratulations on your new book and thank you for the FB party earlier. I enjoyed interacting with all of you and I would be thrilled to win any of your books. Yes Tamara, I would be thrilled to win a paperback copy of Red Skies, Shannon, your ebook sounds delightful and Carrie, I would be thrilled with First Love Forever. Thank you & Blessings! Thanks for celebrating with us, Connie! Wasn't that chicken dinner delicious? I love homemade biscuits! Hi Connie! You won Tamera's new release! Congrats! Mackinac Island is located in the Upper Peninsula of Michigan! Gorgeous place! I would like to win a copy of Tamera’s book! Hi Paula! Thanks for coming by! That comment should have been posted in the FB party. I think you must have seen Kathleen's post, but I will enter you for the giveaways here! Thanks for stopping by! Nice to see you, Paula! Hello, all! My family's plans for the day suddenly took ALL day, and so here I am, tiptoeing in to sweep and tidy and wipe tables down and put leftovers away ... just like Sally in my story, I suppose. :-) It's very much not fun to live on the edge of adventure all the time! But thank you all for the extremely kind comments, and I'll do my best to leave notes for you all! <3 Blessings!!!! I am so sorry that i couldn't make the party earlier today Carrie, I do so love your parties !, I stopped and looked at the dresses and the food before popping over here to say Hello. I trust you all had a great time ! Thanks Linda! Glad you could pop by! Goodnight! Only 2 days left for the rafflecopter. I've got my fingers crossed for the kindle fire. :D Have a great day everyone! !